The Salt Spring Island Potters Guild is proud to present this second biennial ceramic arts exhibition and prize, which has expanded this year to include all of British Columbia. 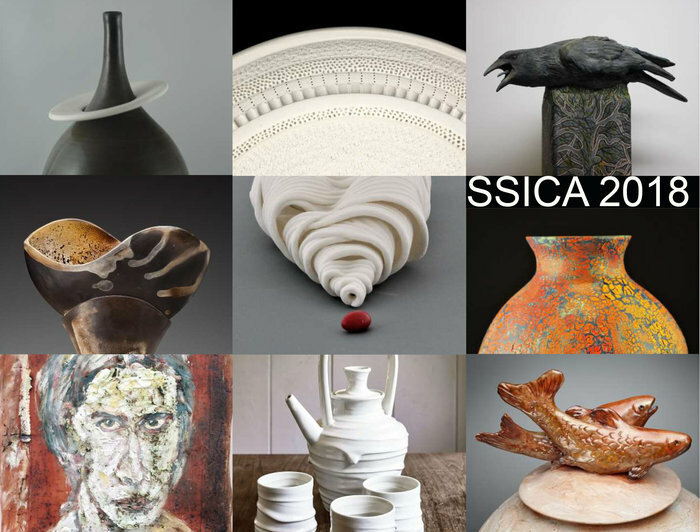 A 3-person jury of ceramic art professionals from across Canada have selected 62 works by 37 artists from across BC and, includes a diverse range from unique functional ceramics to innovative sculptural works. The opening gala for SSICA 2018 is being held at Mahon Hall on Salt Spring Island at 6pm on Thursday, October 4th, 2018 with the Awards Gala 7at pm on Saturday, October 13th, where prize winners will be announced and presented with $7,750 in prize money. The 37 artists selected are based in communities from across the British Columbia, including the BC interior, the Gulf Islands, Vancouver Island, and the Lower Mainland. They include a range of diverse makers, from well-established to new and emerging artists. “Makers in Action” is the theme for SSICA 2018, showcasing the finalists in action and at work, celebrating their process, ideas, and inspirations. A bio wall installation will accompany the finalist’s works, capturing the uniqueness and essence of each artist in action and in the process of creating. A panel discussion focused around the theme of “Makers in Action” will include the members of the jury, Johnathon Bancroft-Snell from Toronto, Trudy Golley from Alberta, local artist Alwyn O’Brien, and workshop presenter Katrina Chaytor from Newfoundland. This event will take place on Sunday morning October 14th, when panelists will discuss both the finalists’ works and their own creative processes. The quality and range of techniques is world class. Most impressive.